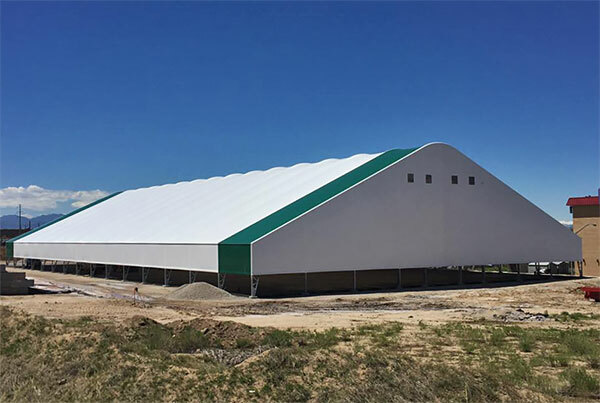 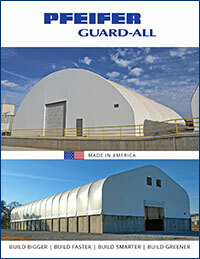 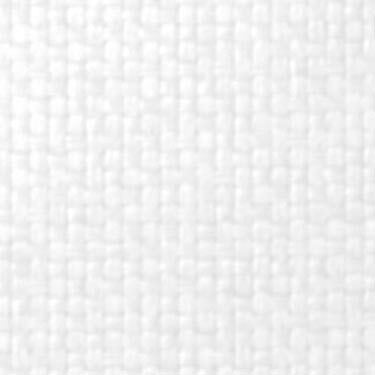 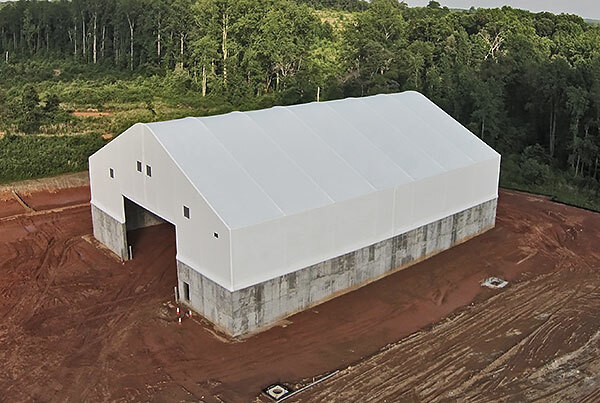 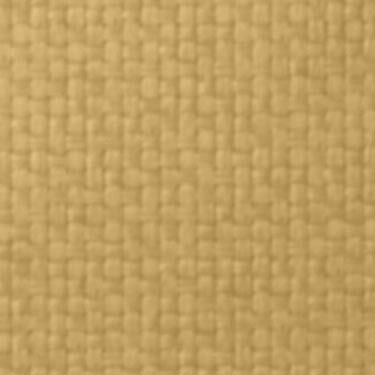  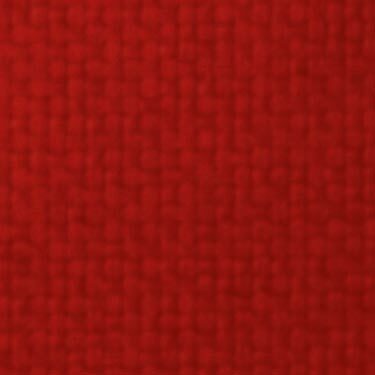 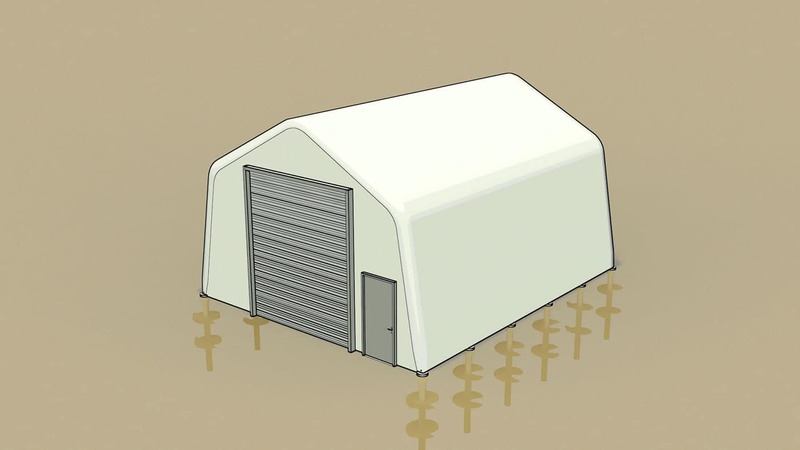 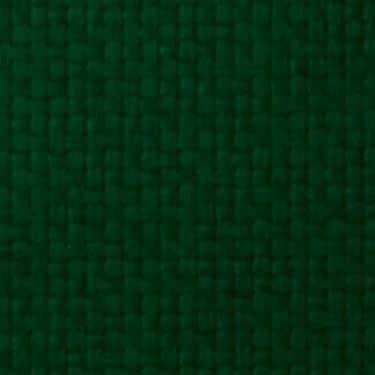 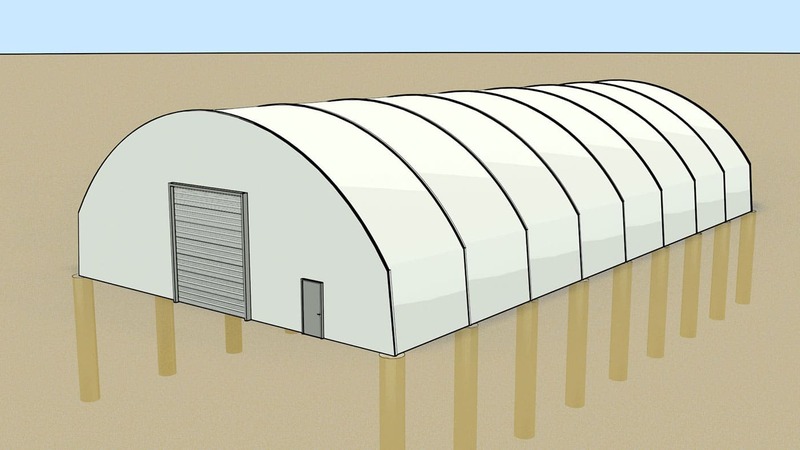 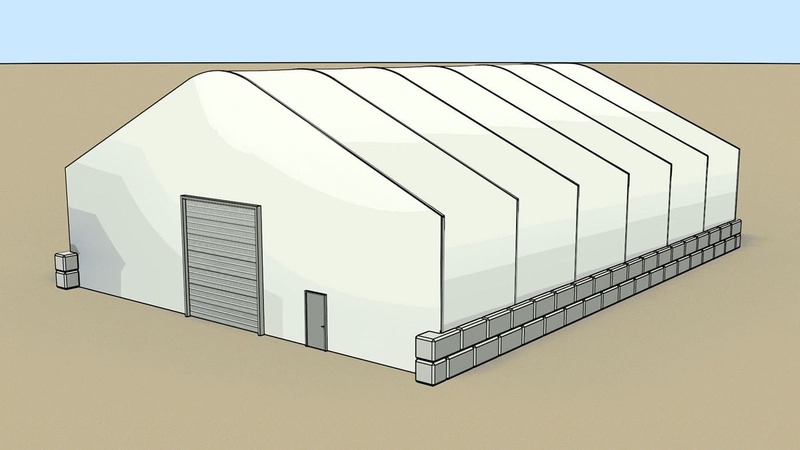 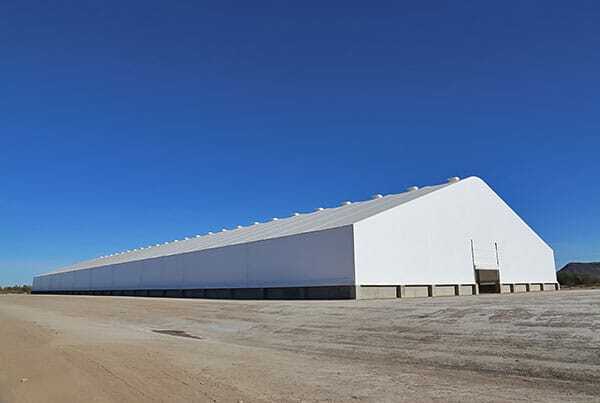 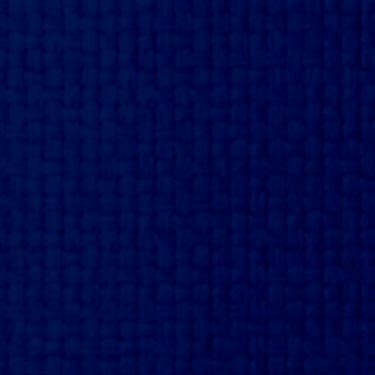 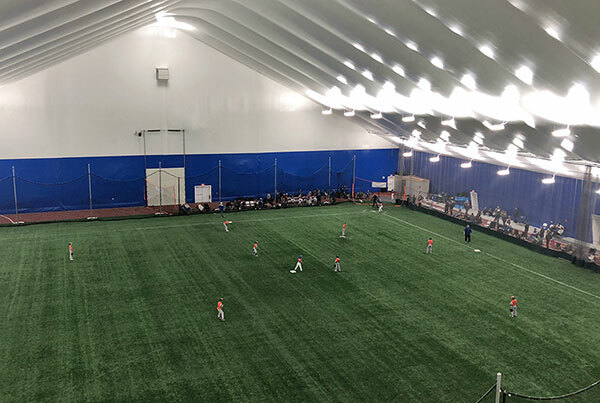 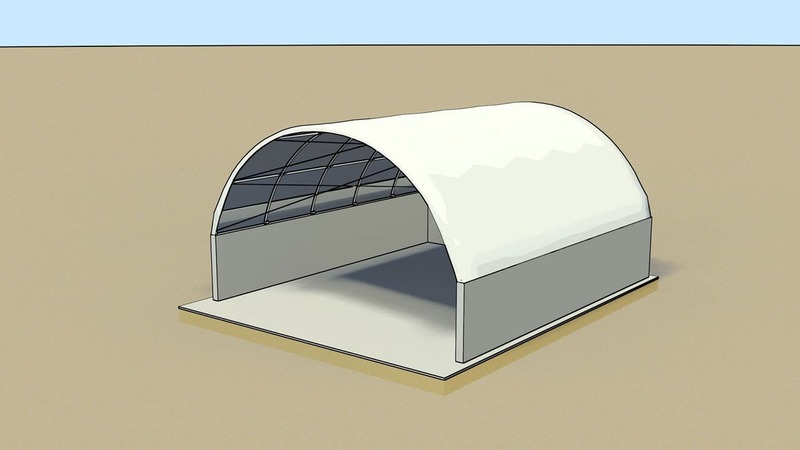 The Centurion 36 Tension Fabric Buildings feature a gable profile optimized for projects requiring very large usable envelopes and elevated clearances at the peak and the sidewall. 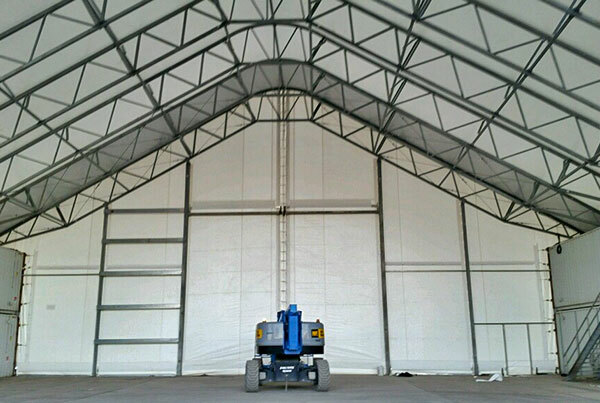 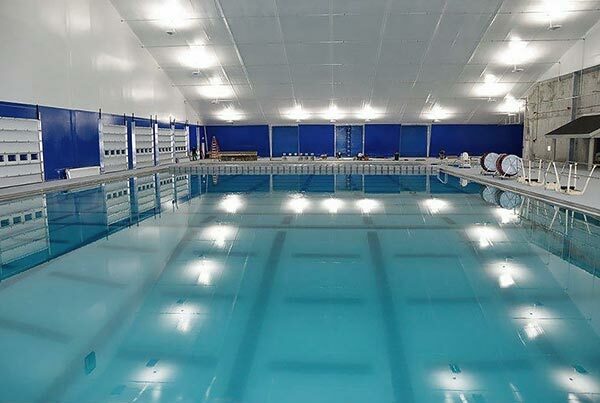 A range of widths from 40′ (12.1 m) to 80′ (24.3 m) are available to meet the project specifications. 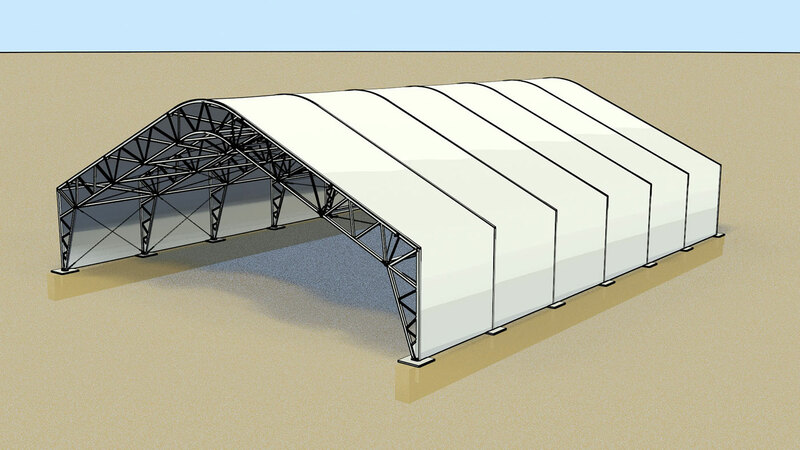 The continuous segmented truss design allows the building to achieve nearly any length required. 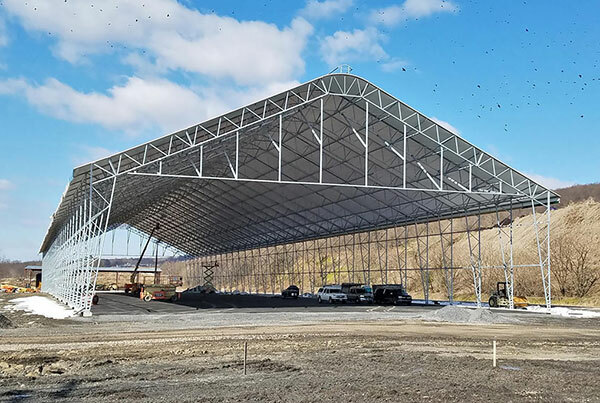 A nominal 36″ (91.4 cm) truss frame is forged from high carbon steel, and reinforced with purlins and structural supports to meet the wind, snow and dead loads required for each individual project. 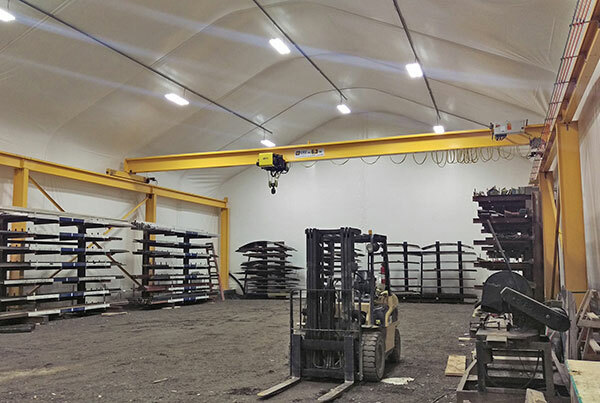 The steel framework can be finished in a selection of coatings; including hot dip galvanized, inline galvanized and powder coated.